Earth Day is about celebrating the planet that we live on, it’s a time to focus on building a clean, healthy, diverse world for today and future generations. Our planet does a lot for us, we should take it out for lunch. So grab a blanket, a basket of food and head to your favorite park or outdoor spot and help the Nature Conservancy set a world record with the largest picnic celebration! 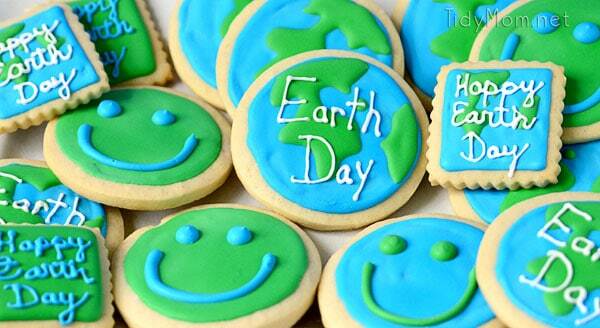 I made Earth Day cookies! 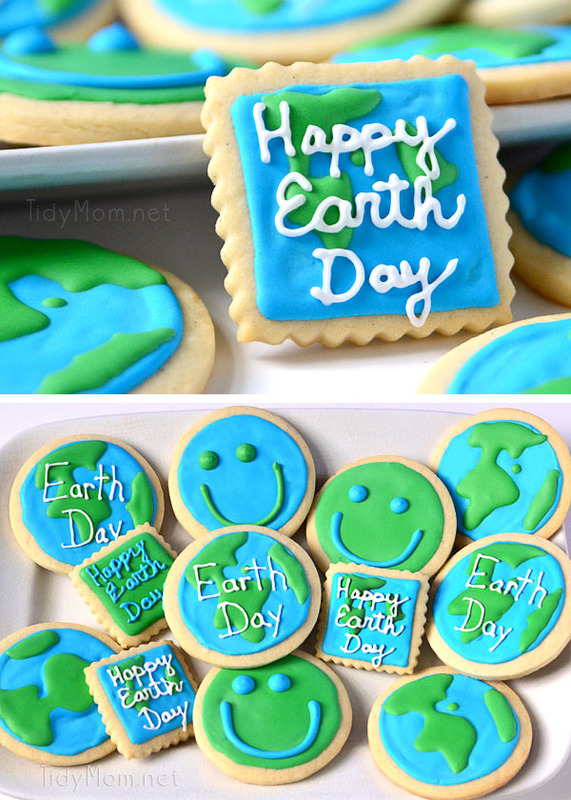 Heather is a stylist at an Aveda salon, and they are celebrating Earth Month as well, so she asked if I could make some cookies for the salon. Flood entire cookie in either blue or green. Let dry about an hour, then pipe opposite color for eyes and mouth. Follow same instructions as above, using square cookie cutter. Follow Cheryl Sousan | Tidymom.net’s board Cookies on Pinterest. On and around April 22, The Nature Conservancy will encourage people all around the world to celebrate the planet we live on by stepping outside and enjoying good food with great company. In 2011, the inaugural Picnic for the Planet was a great success with thousands of people joining more than 600 picnics in 61 countries on all seven continents. We even held our own virtual picnic on many of our blogs. For Earth Day 2012 (April 22), The Nature Conservancy will once again ask people to get outside and join the world’s largest picnic celebration. And this year we are going to make it official: we will attempt to set the world record for the most people picnicking in a 24-hour period. Web visitors can either browse the Conservancy-sponsored picnic events around the world, including in cities like Seattle, Boston and Melbourne, Australia, or sign up to host a picnic with family and friends. Anyone who holds a Picnic for the Planet with at least 25 people can download the materials to be officially included in the record-breaking attempt. 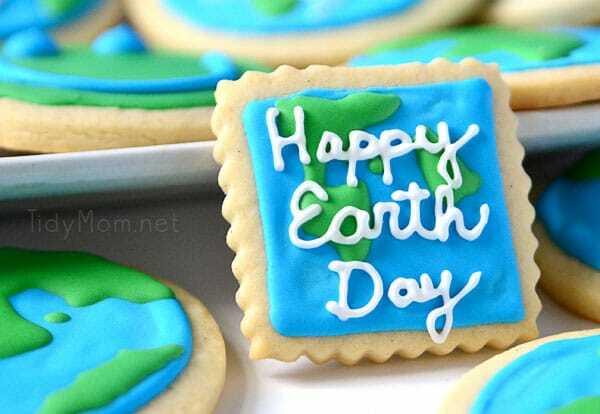 Please join me and a group of friends and fellow bloggers in celebrating Earth Day this year by having a picnic for the planet. 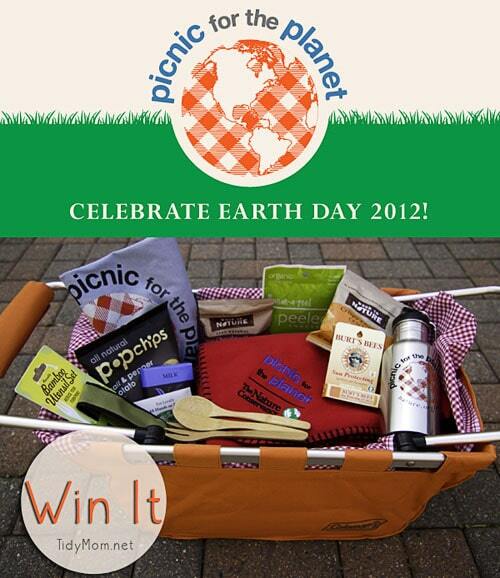 What better way to celebrate the Earth Day than with a picnic? Official Rules: No purchase necessary. Open to US residents only. Void where prohibited . Must be over 18. Giveaway will end on April 22 2012 at 11:59 pm CST. One winner with a valid entry will be selected at random using random.org. Winner will be notified by email and will have 48 hours to claim their prize or another winner will be selected. 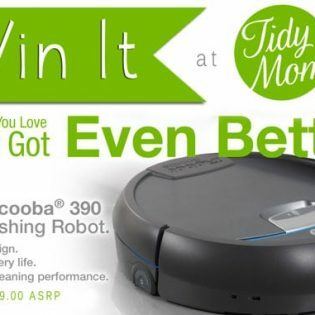 TidyMom, and The Nature Conservancy are not responsible for lost or undelivered emails. Disclaimer:The Nature Conservancy provided the baskets for this giveaway. We buy local and reuse as much as we can. I avoid using plastic bottles for water. I use cloth bags for grocery shopping! I’m gardening organically, planting heirloom tomatoes. Yum! What a wonderful recipe and great giveaway! 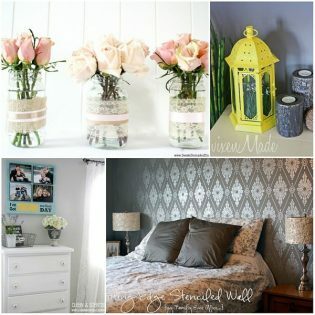 I’m new to this blog, but have been really enjoying reading it! I truly value living an eco-conscious life, and make earth-friendly choices with every opportunity… Over the years, this has encouraged me to follow a mostly plant-based diet, purchase eco skin/body care products that are not tested on animals, walk/bike/run to places that are within a 3mi radius instead of driving, carpool, and minimizing the use of electricity and water at home. But quite honestly, nothing has been as tremendously impacting in my life as the closeness that I’ve come to feel with Earth as a result of becoming aware of animal farming… I love animals and simply cannot make decisions that can ultimately hurt them in any way. Such a perspective, I believe, has made me a kinder, more compassionate, and open-minded person, and I am grateful for that. I still consume some animal products, and that is a recent choice I’ve had to make because of health problems that I was facing while living a vegan lifestyle. Though veganism may not be best suited for everyone, living a life of awareness and compassion, and making appropriate decisions, is. Happy Earth Day! Our way of taking care of the planet is to try and become more self sufficient and less reliant on the big factory farms. Drying our clothes on the line, repurpose things we have. It’s all about being creative. Great way to keep down the clutter. ALso growing our own veggies. I love those cookies, how cute! We always make a point to recycle, taking it to my parents’ house 45 minutes away since where we live doesn’t offer recycling services. We also throw out bad food into the woods instead of throwing it into the trash. We use household cleaning agents that are more environmentally (and kid) friendly. We keep very minimal lights on at night to save power.